Food sold in the same packaging and under the same name can differ in various EU countries. It was confirmed by a research that was ordered to the University of Chemistry and Technology in Prague (VŠCHT) by the Ministry of Agriculture. The aim of the project was to compare selected foods from the Czech Republic, Slovakia, Austria, Germany and Hungary and to find out whether products with different qualities, e.g. ingredients, quantities of ingredients or product weight, are sold under the same name and packaging. The expert committee chose the total of 21 products sold in various countries under the same brand. Tests revealed that 13 of them were different, 5 slightly different and 3 were equivalent and 5 products of all of the tested products had different volume while their packaging was the same, as for the dimensions. 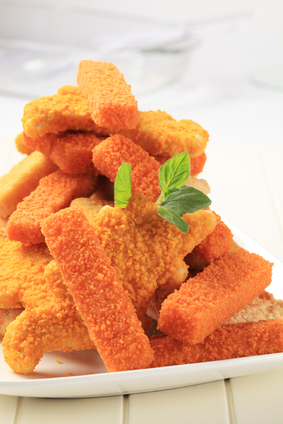 To be specific it was found out, for example, that Tulip Luncheon Meat from Germany contains pork meat, whereas the Czech one contains poultry isolate or that in German Iglo fish fingers there is the meat content declared on the packaging higher by 7 % compared to Iglo fish fingers in the Czech Republic.